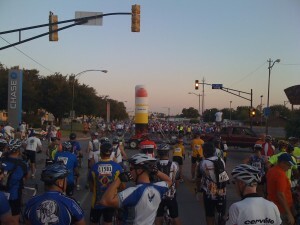 Some friends and I rode in the 2009 Hotter ‘N Hell bike ride yesterday. 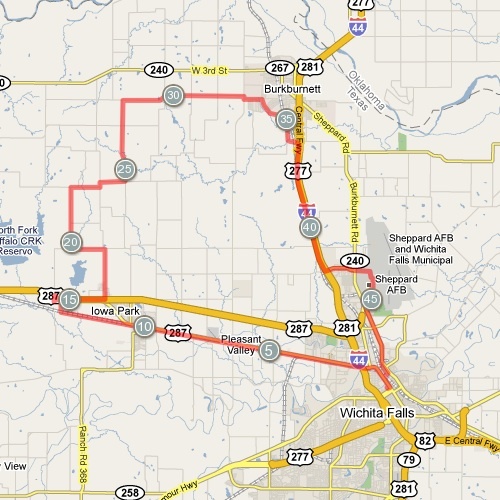 Allan and I did the 50-mile ride (the “gentleman’s distance”), and Kevin did the 100 mile ride. It was quite fun. More than 12,000 bikers participated. 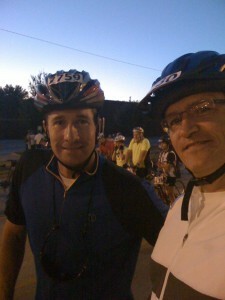 Here are some pictures from the ride. 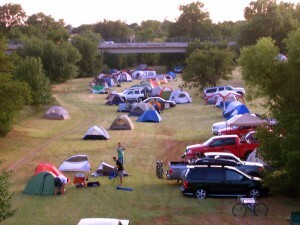 Hotels were sold out, so we camped down by a river. 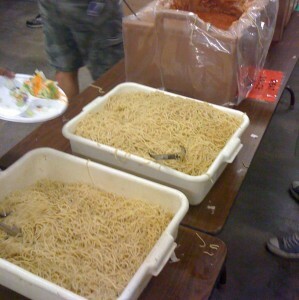 The night before the race, we had a big spaghetti dinner. Carbing up! 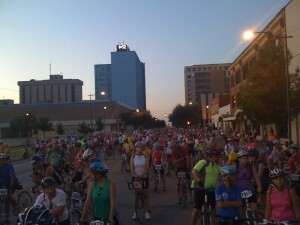 These are the riders behind us at the start.